Instrument Tray is autoclavable tray with cover which fits into groove of trays to minimize spillage of material. Smaller size can be used to sterilize small instruments whereas the large size allows pipettes to be fully immersed in disinfectant prior to sterilisizing. 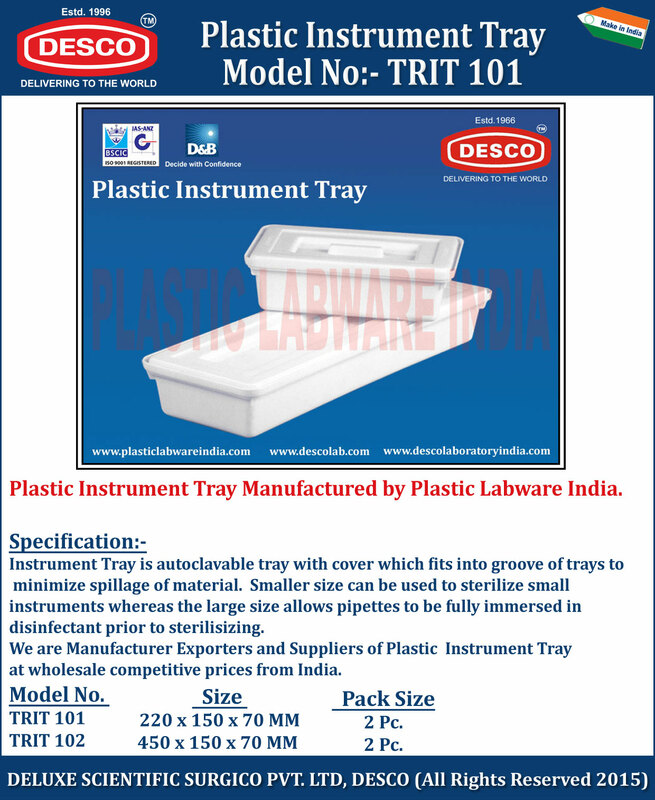 We are Manufacturer Exporters and Suppliers of Plastic Instrument Tray at wholesale competitive prices from India. TRIT 101 220 x 150 x 70 MM 2 Pc. TRIT 102 450 x 150 x 70 MM 2 Pc.